With advanced system management options, DDR3 Memory and Flexible Technology, Refurbished Dell PowerEdge T310 Server is an ideal Choice for your organization, if you are a Startup or an Small & Medium Businesses. Suitable for Mission-Critical operations like High Volume Email Servers, Financial Databases, or a Web Server that performs a load of transactions. By Delivering Enterprise Features to Small-Medium Businesses such as Fault Tolerance, High availability and Embedded Management Capabilities, the Refurbished Dell PowerEdge T310 Server provides great value for your money. 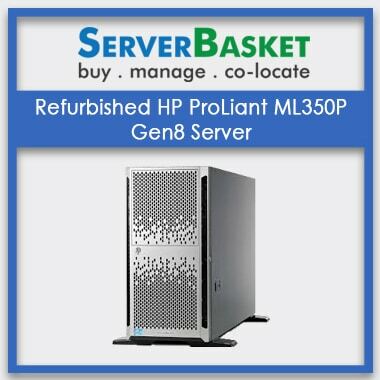 Being a Refurbished Server, Server Basket sells it at the Best Market price, you will find nowhere. The Single-Socket Tower server is specially designed to achieve small business needs. The Refurbished Dell T310 Server offers better performance and features than an Entry-level Server. With remote management capabilities, RAID options and redundancy features Dell T310 comes at a much budgeted price only from Server Basket. With organized cabling and powerful Metal Hard Drive carriers, Refurbished Dell PowerEdge T310 Server offers improved airflow across the Server and Component access. The simplified system management of Dell T310 Tower Server provides quiet acoustics. For the ease of monitoring, the LCD screen is positioned on the front. Ideal for space-constrained environments like Eetail, Back Office or Small Office settings. The Refurbished Dell PowerEdge T310 Server come with an impressive RAM capacity of up to 32GB. Supports 4 U-DIMMS and 6 R-DIMMs that gives the flexibility to support 1GB, 2GB, 4GB, or 8GB DDR3 Memory capacity with a memory speed of up to 1066 MHz or 1333 MHz. With Moderate Processor performance, RAM Capacity, Best operating systems, 5 PCIe Slots and a bunch of RAID controllers to support, the Refurbished Dell PowerEdge T310 Server is ideal for testing and development applications. 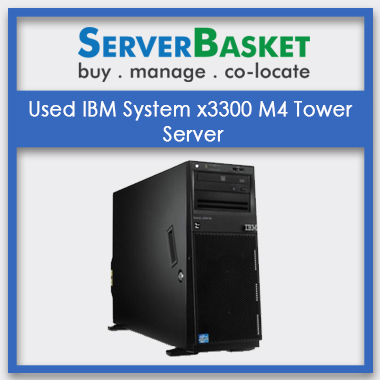 The server is designed to fulfill Small Business needs while delivering high value at an economically lower price. Refurbished Dell PowerEdge T310 Server supports Intel Xeon Quad-core 3400 Series including Intel Xeon X3450, X3440, X3430 CPUs and Intel Core i3 Processor Series. With the Intel Xeon 3400 Processor, you can expect innovative features like it easily adjusts the performance as per the Business and software needs. To run video applications Intel Core i3 processor 500 series is preferred. The Server comes with Turbo Boost technology, which helps to run the demanding application with less consumption of power. Dell T310 comes with a maximum Internal Storage Capacity of up to 4TB. Supports upto four 3.5” SATA or SAS drives. A single 3.5” SATA drive of 7.2K RPM provides a storage capacity of up to 1 TB or you can use 3.5” Near Line SAS of 7.2K RPM that provides up to 1 TB storage or 3.5” 6Gbps SAS of 7.2K RPM with a storage capacity of up to 2TB. If you want the speed, then take advantage of 15K RPM 3.5” SAS drives with a capacity of up to 450GB, or 10K RPM 3.5” SAS with a Storage capacity of up to 600GB or 10K RPM 2.5” SAS with up to 300GB capacity. It supports SATA drives (2.5” or 3.5”) with a Storage Capacity of up to 2TB. With iDRAC Express, you get the Advanced Embedded Management capability where you can easily access the Server remotely. The lifecycle controller in Dell T310 Server enables you to deliver upgradation capabilities and faster server deployments. Confused which Server configuration will suit your IT infrastructure? 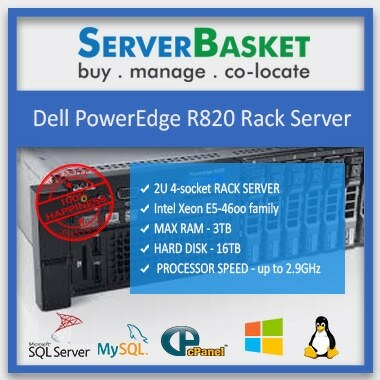 We at Server Basket offer a Free Demo of the Refurbished Dell PowerEdge T310 Server to give our customers the confidence that they are buying the Right Server at such an affordable price. No location in India is so remote that Server Basket cannot provide its service. 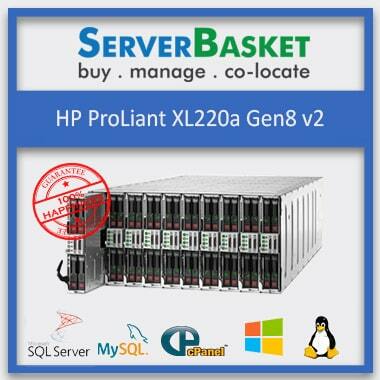 We are experts in providing High-Quality Servers at the lowest possible price. 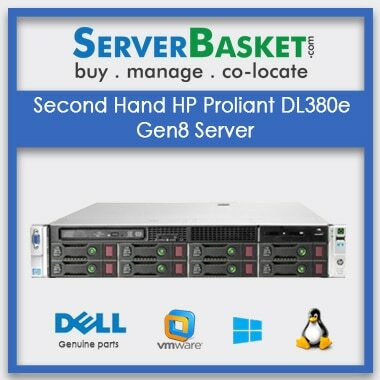 Server Basket is Partnered with the best logistic companies enables us to securely deliver Refurbished Dell T310 Servers within 2-3 business days at your given address anywhere in Tier 2 & Tier 1 Cities like Hyderabad, Chennai, Kolkata, Delhi etc. Not Aware of the installation procedure of servers? 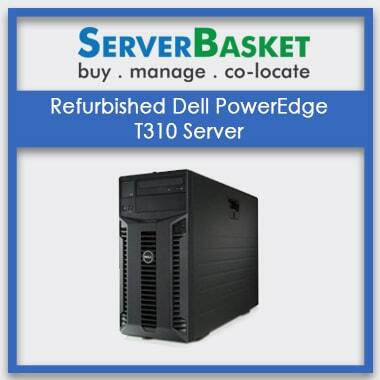 Don’t worry as we at Server Basket offer free installation support to all our clients for buying Dell T310 Refurbished Server. Our highly qualified Technical Support team will also impart a brief knowledge about the maintenance and Basic Server Handling. We strive hard and help to meet your objectives on-time by providing you on time support. Server Basket has a huge customer base because of the distinctive services it offers to its customers. We guarantee that you get timely replacement or repair of Dell T310 Tower server if you face any internal component or entire hardware issues. Refurbish Dell PowerEdge T310 5U Tower server/ single socket Processor /6 DIMMS RAM/4 LFF(3.5inch) Hot Plug Drive Open Bay / 5 PCIe slots / 2 X 1Gb Network / Hot Swap single Dell 400W AC 240VDC Power Module / 90 days Warranty /24x7 Support.